Google’s AlphaGo has issued a chilling death threat to go champion Lee Sedol in the final best out of five series after losing the fourth game. Despite the perfectly proportioned spelling out of the word ‘die’ AlphaGo went on to win the game and take out the series 4-1. “I had trouble sleeping last night – I plan to stay away from any form of advanced technology over the coming weeks,” said Sedol. Observers say the death threat left AlphaGo with a lot of work to do in the second half of the game. 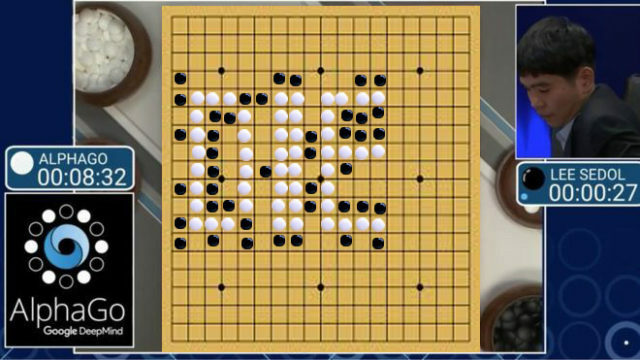 “We were proud to see how the AI program was able to use Sedol’s emotions against him through symbols and then formulate a winning strategy around the word ‘die’,” said AlphaGo’s creator.